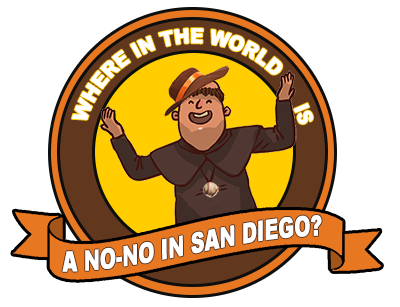 Four years ago today, on July 10, 2011, the San Diego Padres nearly left the Mets alone in the notoriety of being the only major league franchise without a no-hitter. Padres pitchers on that day had been no-hitting the Los Angeles Dodgers through eight innings, with starter Aaron Harang making it through six and Josh Spence, Chad Qualls and Mike Adams each pitching a hitless inning. But the Dodgers’ Juan Uribe broke up San Diego’s no-hitter with a two-out double against Luke Gregorson in the ninth inning, and the Dodgers wound up winning the game 1-0. 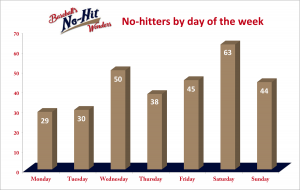 Until Johan Santana’s achievement for the New York Mets in June 2012, the Mets had gone without a no-no since 1962, while the Padres have been at it since 1969. 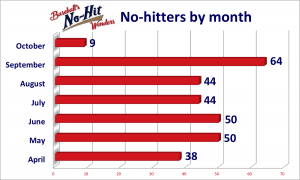 The Rockies and Rays were also in the no no-hitter club at the start of the 2010 season but broke free with gems by Ubaldo Jimenez and Matt Garza that year. 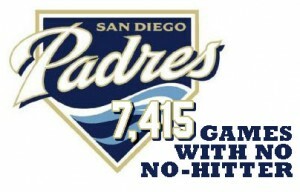 And so the quest for the first Padres’ no-hitter continues, with the no no-no count reaching 7,415 games. 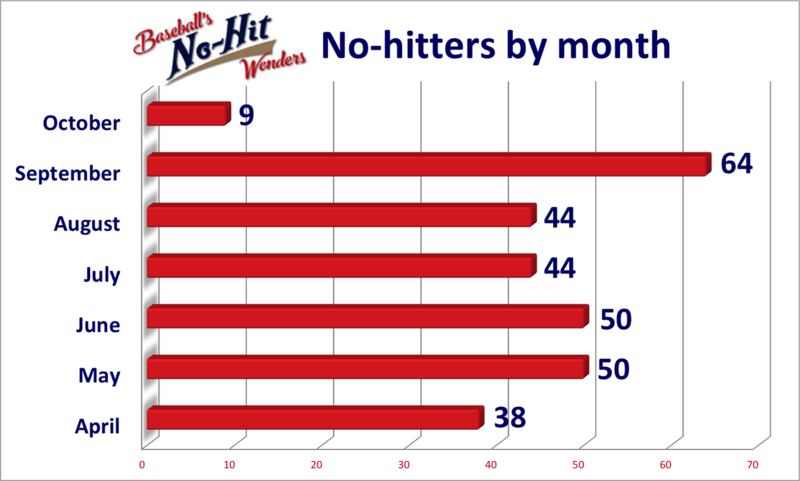 regular-season games (and 34 post-season games) without a no-hitter. 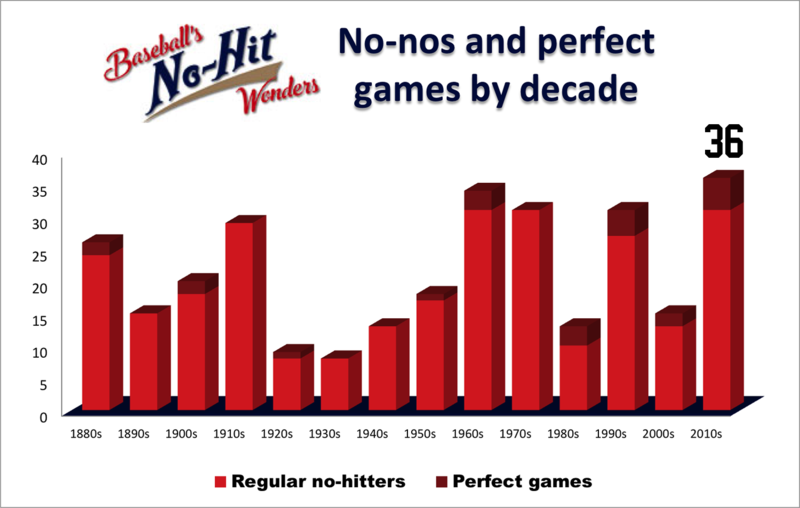 The streak began 50 years, 0 months, 11 days ago, when the Padres played their first game. There have been 299 no-hitters in MLB history, with the last thrown 11 months, 11 days ago.